Blurb Description: Here is what happens when your mother dies. I fell in love with Kathleen Glasgow’s writing in her debut novel, Girl in Pieces, when I read it a few years ago. It was raw, heart-breaking and real and it was probably one of the best novels I’d read that dealt with being alone and learning to love yourself. 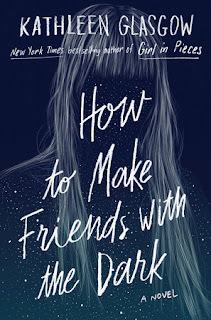 Which is why, when I heard about How to make friends with the dark from Rock the Boat I knew I would have to read it. 1. This was QUITE A SLOW BOOK. I mean, I didn’t expect it to be fast paced like a fantasy novel, but after 400 pages, I’m not fully sure what I read, just that it was quite slow. 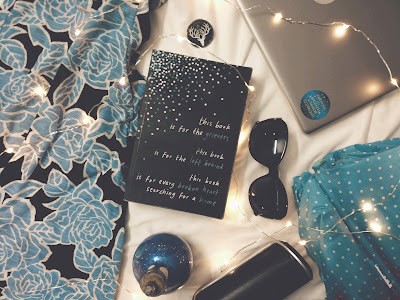 The main character went through an intense journey, and we were really introduced to ‘the system’ but it was quite a slow and dragging book altogether. 2. I expected quite a lot from Kathleen Glasgow’s writing, especially with her writing in Girl in Pieces as a kind of blueprint in the back of my mind, but I feel like this book didn’t capture grief and pain as well as that one did. I occasionally felt sad, but I struggled to connect with this book. 3. There were a lot of things I LOVED as well, but especially all the foster siblings, particularly Thaddeus and the two younger children. I loved how they interacted with one another. It’s not something I really thought about before, and it was quite touching to see. 4. I also really like the people in Grief Group and Cake (also plus points for the unique names, especially Cake and Tiger). They were well-rounded individuals and I liked learning their stories. 5. While this was a nice enough book, it lacked that special something that I was looking forward to from a Kathleen Glasgow book. I wasn’t rooting for anybody, I was uninvested in the storyline and I honestly was reading a little mechanically. Would I recommend this book? I’d recommend that you borrow it from a friend/ the library! I would, however, recommend Girl in Pieces. That book was a masterpiece. Kathleen Glasgow is the author of the New York Times bestseller Girl in Pieces (also a Target Book Club pick--seriously!) 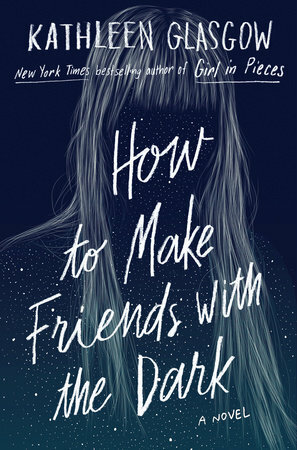 and her upcoming release, How To Make Friends With The Dark. Proud faulty robot. Visit her on Twitter (@kathglasgow), Instagram (misskathleenglasgow), or her website (www.kathleenglasgowbooks.com). Have you read Kathleen Glasgow's Girl In Pieces? What are some of the most heart-wrenching contemporaries you've read recently?